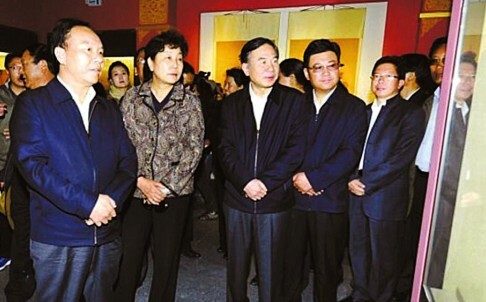 (TibetanReview.net, Jun28, 2015) – Under its ongoing anti-corruption drive, China has ordered corruption investigation against one of its own and prosecution against another in the Tibet Autonomous Region (TAR). Le Dake, now deputy head of Tibet’s regional legislature, is being investigated for alleged “serious violation of discipline and law”, China’s official Xinhua news agency Jun 26 quoted the Central Commission for Discipline Inspection as saying, using the usual euphemism for graft. The very brief report gave no other details. Le was head of the State Security Department in the TAR from 2004 to 2013, according to his official biography. In a separate statement, the anti-graft watchdog said Huang Xiangtian, who was Communist Party chief of the Tibetan capital Lhasa’s economic development zone, would be prosecuted for bribery and embezzlement, reported Reuters Jun 26. The report pointed out that both were members of China’s majority Han ethnic group, adding few Tibetans get positions of real power in Tibet, despite forming the majority of the population.